wooden ashoka piller with whatch i will make this item with company logo size 4x6 inch size. 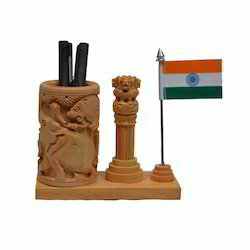 Owing to the vast knowledge in this field, we have been able to offer outstanding quality Decorative Pen Stand. 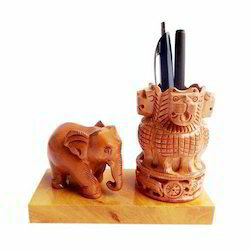 Assisted by the imaginative bent of mind, we are offering the most beautiful range of Wooden Pen Stand.